The Venator Light Maniple is not the formation with the most firepower, however, it is extremely agile, fast and flexible. The maniple consists of at least 1 Reaver Battle Titan plus at least 2 Warhound Scout Titans – and it reliably teaches its opponents the meaning of the word fear. In order to properly protect your maniple, we recommend our Storage Box Set which comes with tailor-made foam trays to keep your miniatures safe. 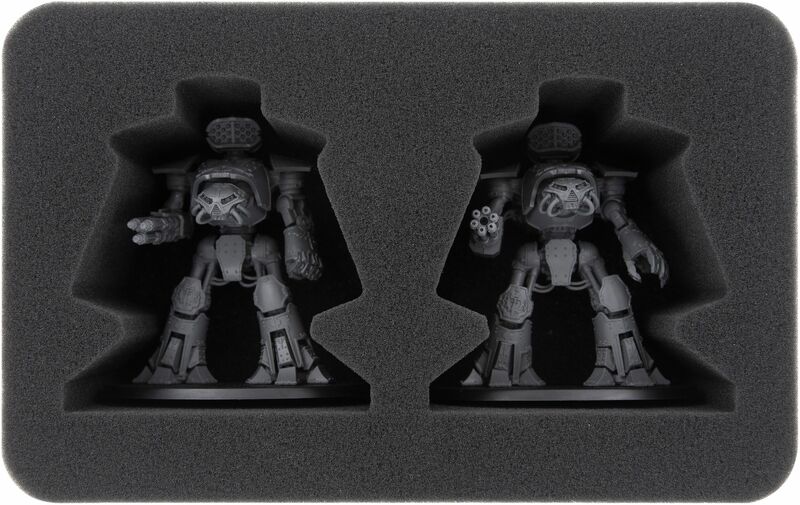 Both the foam tray for the Warhound Scout Titans and the foam tray for the Reaver Battle Titans feature custom cut compartments for the fighting machines. This way, the best possible protection against breaking parts and scratched paint is ensured. 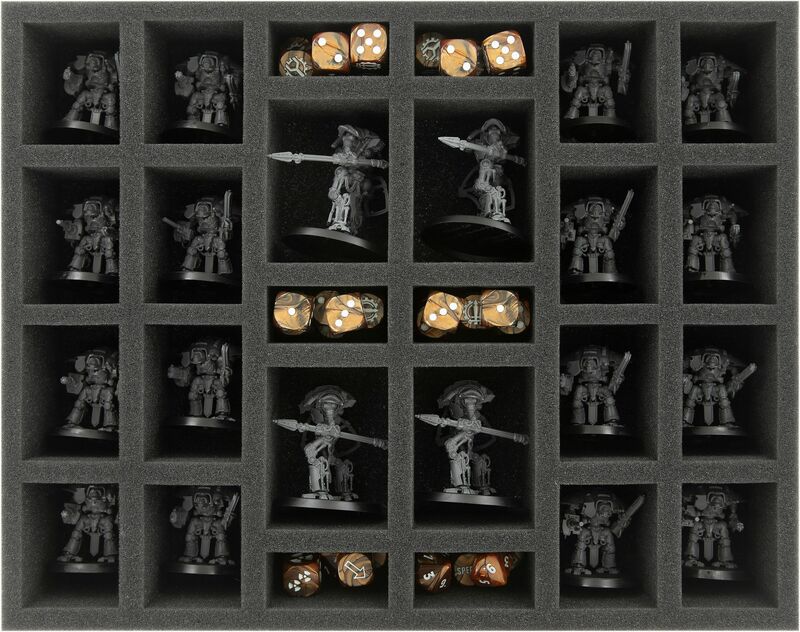 The foam tray with the 26 compartments is ideally suited to hold other Adeptus Titanicus models. 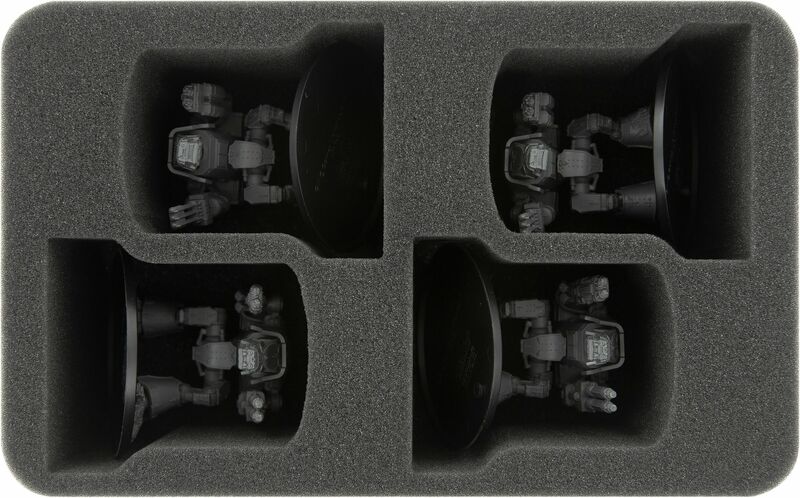 4 compartments will fit for Imperial Cerastus Knights, 16 further compartments will hold Imperial Knight. 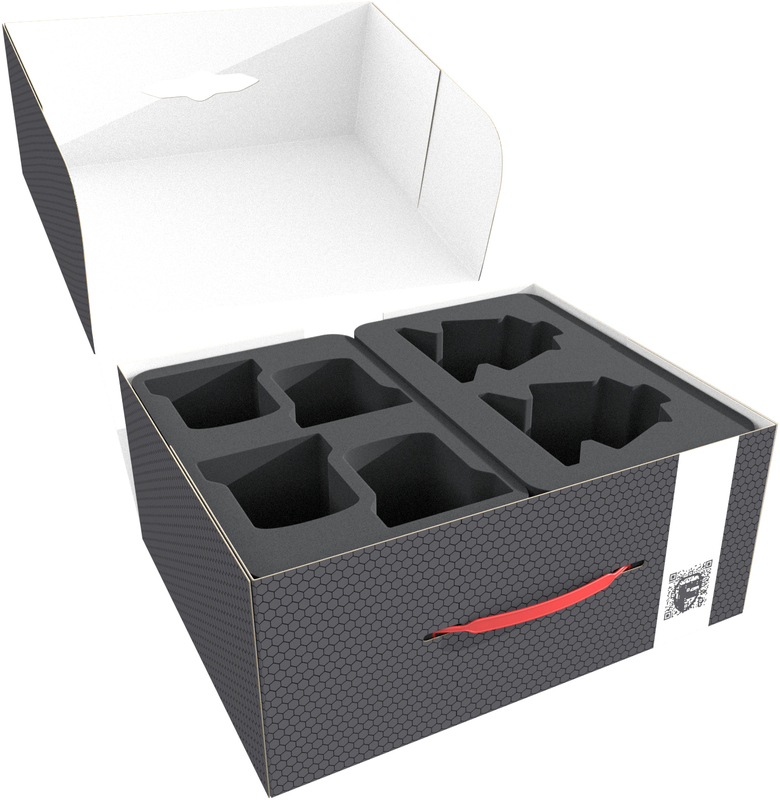 The remaining 6 compartments are suitable to hold small game material like tokens and dice. Of course, the foam trays fit exactly into the storage box. 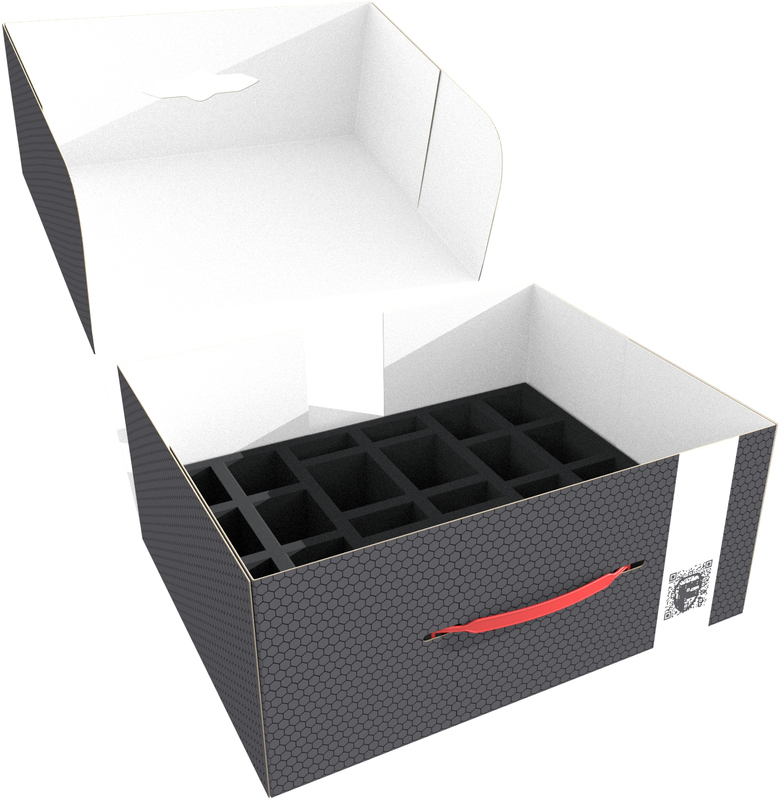 The storage box itself - made of coated, double-walled cardboard - is not only light but also particularly stable. With the plastic carrying handle it can also be transported easily. As soon as you’ve stacked the trays into the box, just place the two matching foam toppers on top for all-around protection. Then close the lid of the box and you’re all set.